Be prepared for blackouts and light up the night with backup emergency power. Manually powered backup devices offer security when all other alternatives have failed. No matter the weather, you’ll be able to rely on your manual emergency power backup. 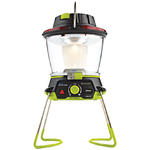 With available wind-up technology and AC/DC USB charging, our rechargeable lanterns are perfect for emergency and primary lighting at home or on your next camping trip. When using a standard USB port for charging, you can ensure that your essential devices will never go without power. Part of that preparation can be achieved with a hand crank rechargeable flashlight, radio, LED lantern, and generators from Earthtech Products. For a small price, your family can have these small but important items on hand and the peace of mind that comes with them. Hand crank generators are ideal for charging cell phones, as well. With a backup power device nearby, you’ll never lose touch with loved ones or emergency services.